I think I'll just share this same post at the beginning of each April. A beautiful reminder that the fresh, hopeful, and metamorphic nature of Springtime are upon us, and there isn't much longer to wait. 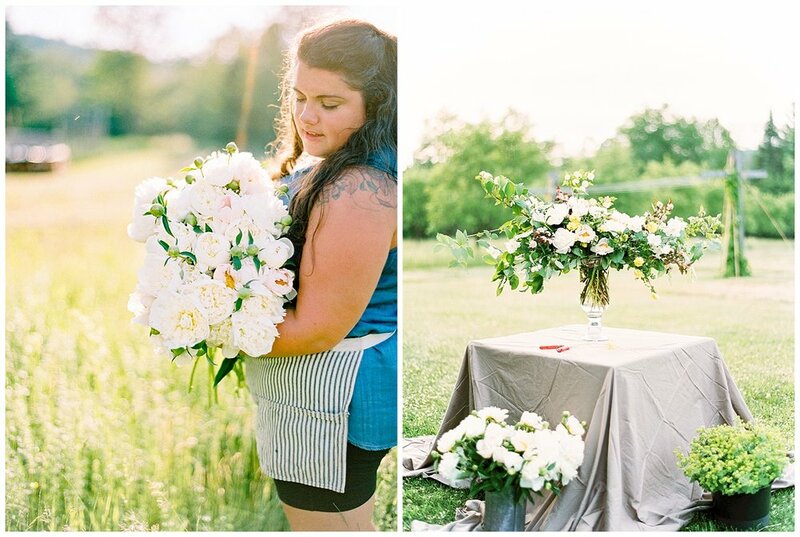 Vanessa at Tarrnation Flower Farm led the way through the sprawling and seemingly endless rows of peonies; their transformation into rows and rows of Dahlias is coming next week on the blog! Contax 645 + Fuji400h Processed + Scanned by Photovision.